Soak up the celestial rays as a true Goddess while stylishly displaying our emblem of beauty, radiance, and growth! 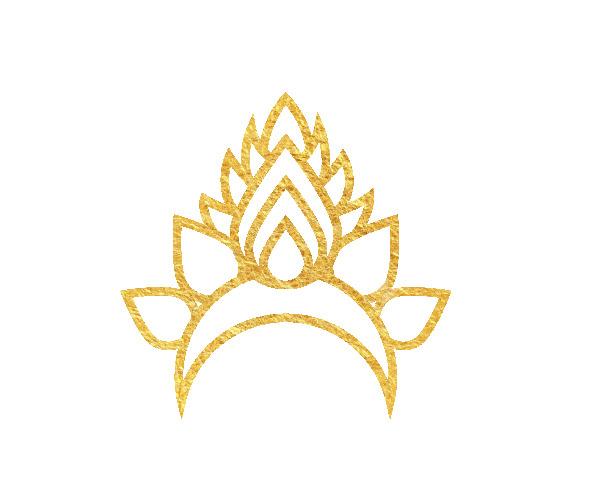 Ganja Goddess brand is proud to present our refreshed logo in this shimmering temporary tattoo! A female flower (AKA nug) featured as the bejeweled top while enveloping a flourishing flame – all atop an inverted crescent moon as the diadem. Simply remove the plastic cover, and press this aurulent accessory face down onto clean, dry skin. Hold wet cloth against back of tattoo (paper backing) and ensure item is thoroughly damp. To remove, use baby oil or rubbing alcohol to wipe off skin.